This Mother's Day, send Mom a lovely gift that she'll use again and again! 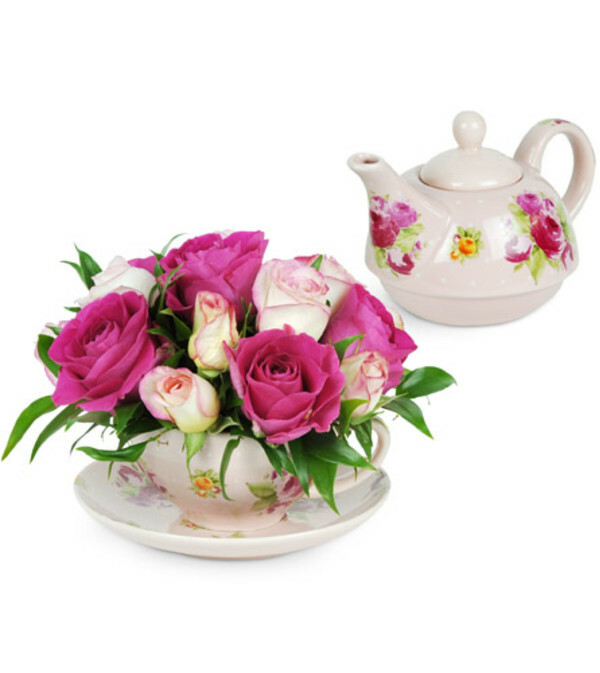 Bright fuchsia roses and dainty pink spray roses are arranged in a delicate floral teacup, with a matching teapot! It's the perfect thing to send to Mom. 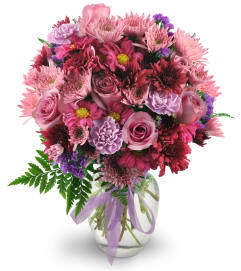 She'll love it!